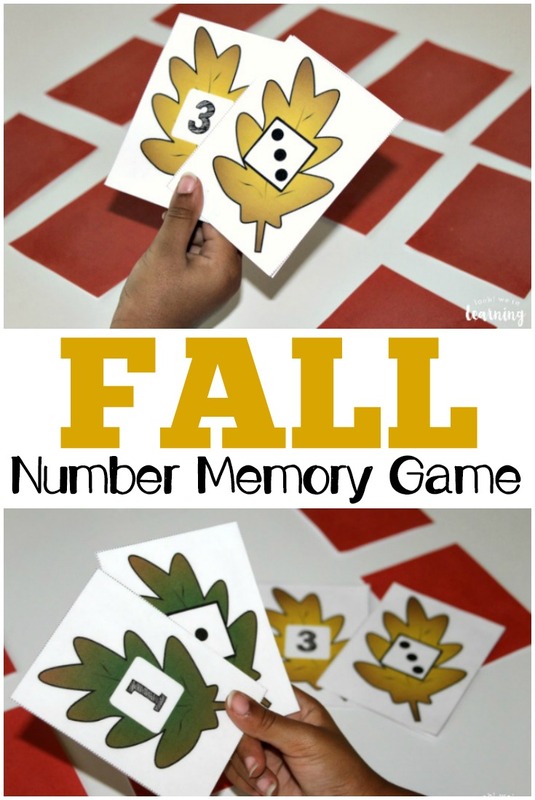 Fun Fall Math Preschool Concentration Game for Kids - Look! We're Learning! 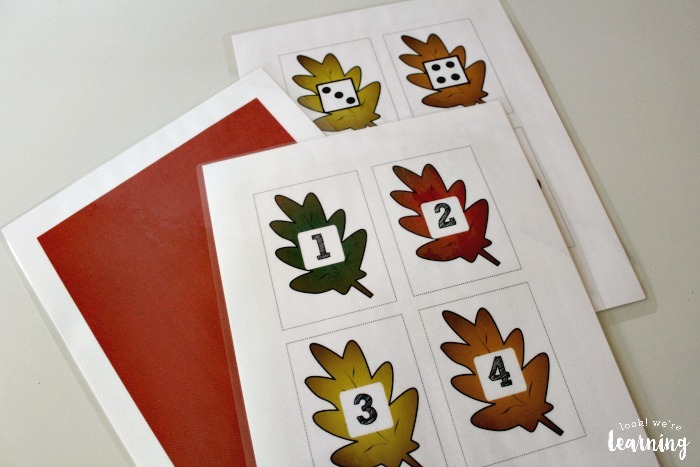 We’ve been working on counting and number recognition with our little one lately, so in the spirit of autumn, I thought I’d share a fun fall math preschool concentration game that little ones will love to play! One of the best ways I’ve found to get my kids excited about learning is to play lots and lots of games. That way, they get to practice basic concepts without even realizing it. So for my smallest learner, this concentration game was an easy way to help her work on counting. And it only takes a few minutes to make too! 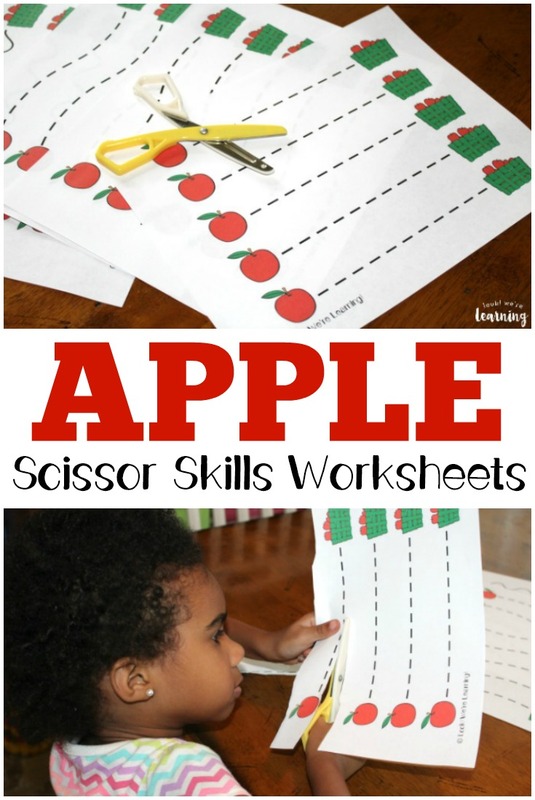 If your kids like this game, be sure to check out our apple preschool counting puzzles for more preschool fall math fun! 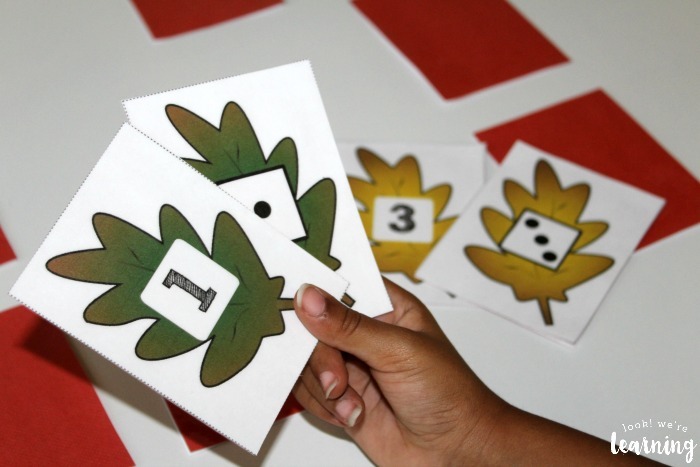 To assemble the game, print the flashcards and then laminate them. Kids can be pretty rough on pieces of paper. This way, the cards will stay crisp enough to reuse. Here’s a tip: If you make these cards as is and lay them face-down, kids will be able to see the numbers and dots through the paper. So add a brightly colored background for the back. I’ve included three fall-colored backgrounds inside the file if you want to print a background. Just flip the pages over and print the colored background on the back. Once you’ve laminated the cards and cut them out, lay them out face-down. Let the kids practice turning them over one by one. 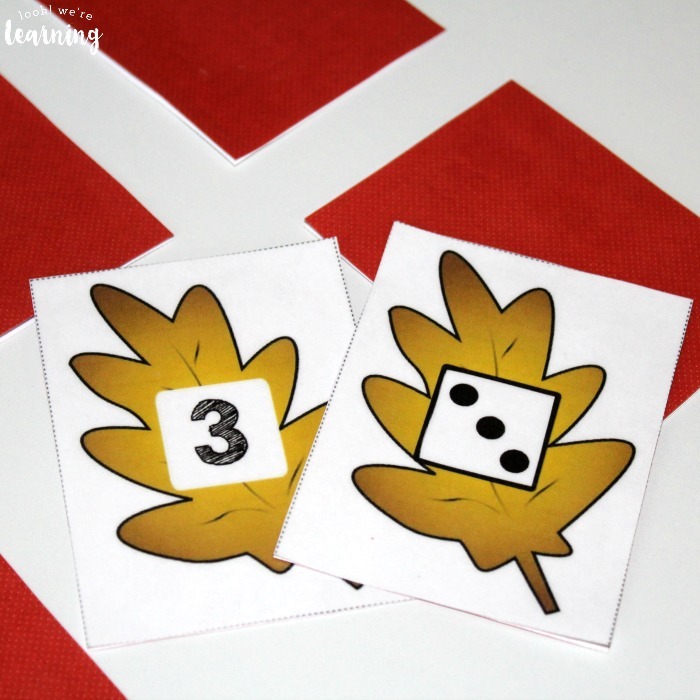 The goal is to match the leaf number cards with the leaf dice cards. 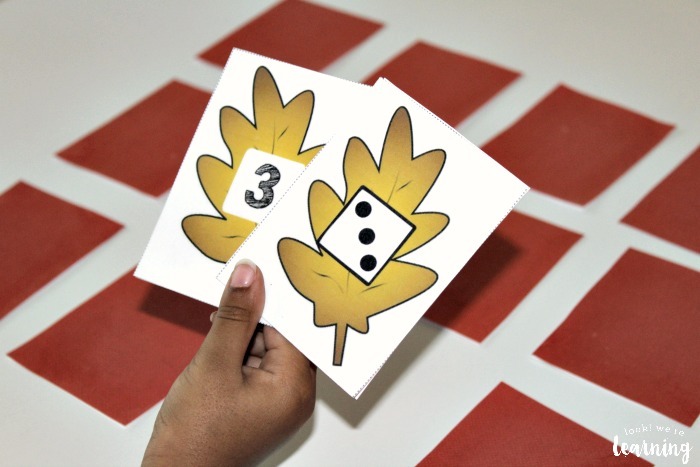 The leaf with “3” on it corresponds to the leaf that has a dice count of three. To make matching easier, the leaves are color-coded. You can even use them to match colors for younger kids! 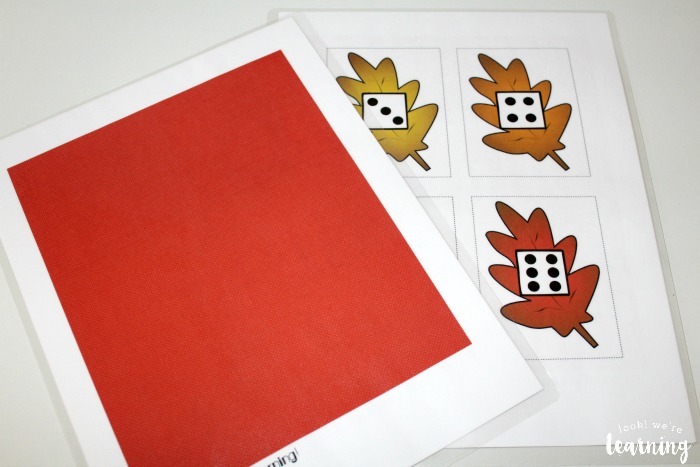 Scroll down to get your copy of our Fall Math Preschool Concentration Game! 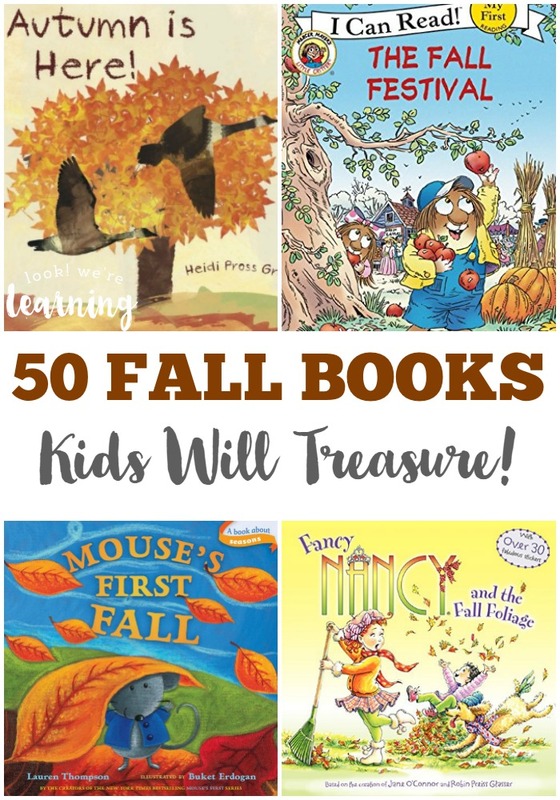 Stop by to see these other fall learning ideas for early grades! 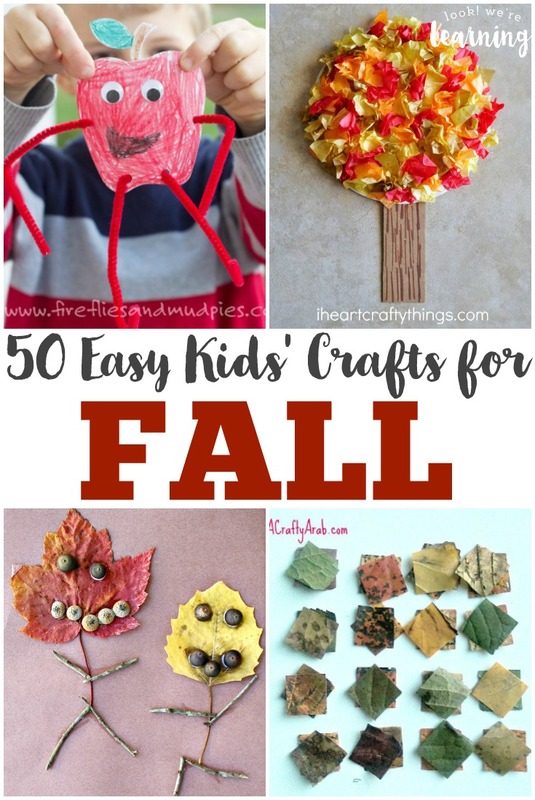 Follow my Fall Activities for Kids Pinterest board for even more fall fun! 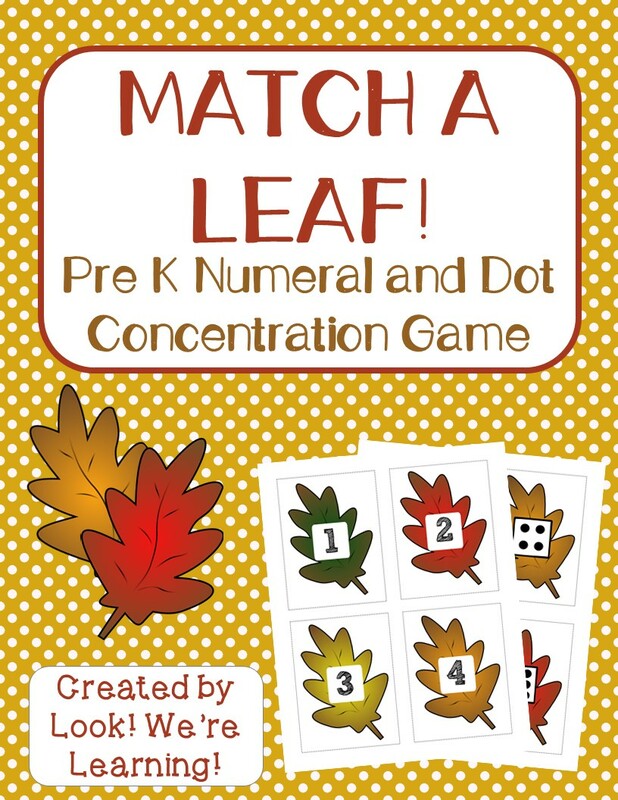 To get your copy of our Fall Preschool Concentration Game, click the image or the link below to visit our Store! Great list! My husband and I really started to get into board games last year and are now always on the hunt for great games for the little ones. Pop up pirate is a classic and we also have Snails Pace Race but I haven’t heard of the others. Thanks!